Already out there, but Arsenal close with Mesut Özil. 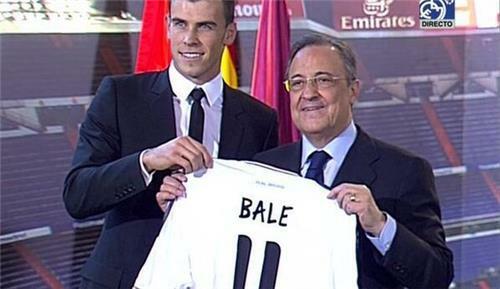 Madrid accept £42m fee, player gets £115,000-a-week. Both club records. Arsenal have Abel Hernández as backup if Ba doesn't come off, but hope is Chelsea man will arrive before deadline. £115'000 does not seem over the top for a player like Ozil. Time will tell, but even at £42m seems like a shrewd piece of business to me. What about Mitchell Renforth Tom? Good signing for Norwich don't you think? Deal, personal terms, all the financial bits have been agreed. Ozil believed to be undergoing a medical in Germany this lunch-time. Any news coming out of man utd today? Gareth Bale whipping out some Spanish to delight the Real Madrid crowd. Looks so happy. Already adapting to the culture, brilliant for him. A real boyhood dream. Can't say I have I'm afraid. haven't seen any spectacular improvement in Chelsea style of play.....this why we get the special one back. point of correction JOSE the better team won and the underdog lose. It is a rumour to come out today. Khedira and Mourinho have a good relationship after he brought him to Madrid. It is unlikely Madrid will let Ozil and Khedira go, especially as Di Maria could also be off. Ozil, Wiltshire, Cazorla, Arteta/Ramsey, with that midfield keep-ball shouldn't be a problem, but seriously that has to be the strongest midfield line-up in the EPL. Add Diaby, Rosicky, Ox and Flamini to that mix also! Transfer deadline day should be a national holiday, you just can't be expected to work under these circumstances! Chant rings around Bernebéu -- "Ozil no se vende" ["Dont sell Ozil"] Looks like it is too late for that now. And before anyone says it, about there is no muscle in there...look at Barcelona! I don't think you should read to much into players saying they don't want to leave a club. If Di Maria comes out and says he wants to leaves and the deal falls through then he gets slaughtered by the real fans...Think about it. As has been the case before at Real Madrid, players generally don't want to leave but when a big money signing is made, they may it clear to the other players that they won't be playing anymore. That quickly makes them consider leaving, especially in a world cup year! Talks between Man United and Everton continuing but no breakthrough. any news on any other arsenal deal? Rumours coming out now that Arsenal are in advanced talks about signing Angel Di Maria. Surely if Ozil and Di Maria were to both leave, then Madrid could have another signing lined up? Suarez perhaps? No chance of that one. In this window at least.